Carolina Forest is one of the most popular new communities in the Myrtle Beach, South Carolina area. It is located off US 501, halfway between historic Conway and the miles of sandy beaches of the Grand Strand. Carolina Forest is a 9,000-acre master planned development offering communities and homes to fit just about any lifestyle, from maintenance-free, condominiums to upscale neighborhoods with custom-built homes. Carolina Forest neighborhoods are in demand especially by families, because of their excellent, award-winning schools and proximity to oceanfront communities like Surfside Beach and Myrtle Beach and all the shopping, dining, and entertainment they offer. 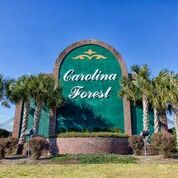 From its inception, Carolina Forest has been one of the most popular communities in Myrtle Beach and along the Grand Strand. Carolina Forest is conveniently located in Horry County, off U.S. 501, halfway between historic Conway, Horry County’s seat, and Myrtle Beach. Carolina Forest is just far enough from the beach to still be affordable, yet close enough to enjoy all the benefits the area has to offer, from 60 miles of white sand beaches to upscale shopping and dining to nightclubs and live shows. The Carolina Forest community was created a little more than twenty years ago when the International Paper Corporation and Horry County signed the Carolina Forest development agreement. The development has been a major Myrtle Beach real estate success story. The Carolina Forest real estate development is massive by Myrtle Beach standards. Carolina Forest is a 12,000 acre (11 square miles) master planned development. It offers communities and homes to fit just about any lifestyle, from maintenance-free condominiums to upscale neighborhoods on the water with custom-built homes. Many of the Carolina Forest neighborhoods are in demand by families because of the area’s excellent, award-winning schools and their proximity to the Grand Strand’s beach communities and all the shopping, dining, and entertainment they offer. If you weren’t convinced that Carolina Forest is the ideal place to live before, you probably are now. And the most difficult decision left to be made may be which quality neighborhood best suits your family’s needs. This unincorporated town of Carolina Forest features many attractive and well-planned developments. From the man-made water features to the five-lane highways, the community of Carolina Forest required a lot of thought and planning on the parts of Horry County and landowner International Paper. Some Carolina Forest neighborhoods are waterfront, some are golf communities, and some offer maintenance-free condos or townhomes. Some of these Carolina Forest neighborhoods are in demand because of the excellent school system and others like the proximity to the oceanfront. There are still plenty of Carolina Forest homes available in the 12,000 acres that make up Myrtle Beach’s fastest growing housing market. In fact, with so many first-class options for Carolina Forest homes for sale, the problem is often knowing which of the great Myrtle Beach communities best fit a family’s needs. That’s why The Trembley Group Real Estate has created this simple, quick guide to the amenities and features which make every one of the neighborhoods a great place to live. First, take a look at a few of the neighborhoods within Carolina Forest offering condos and townhomes. Carolina Forest Condos are available in a variety of choices throughout the unincorporated 12,000-acre master planned development and its slightly inland location keeps prices more affordable than comparably priced properties. Then move on to the beautiful single family subdivisions. There’s more than 20 of them. Carolina Forest truly has something for everyone. Homes in Carolina Forest are divided into 21 subdivisions, called plantations. Some are restricted to single-family home while others allow single-family homes, apartments, and condos. Each plantation has its own character and separate amenities. The median price of homes for sale in Carolina Forest can be deceptive. Homes for sale in Carolina Forest range in price from the mid $200,000s to well over $1 million. Carolina Forest single-family homes range from modest, traditional one to four-bedroom single-family homes, to palatial homes on estate sized lots with ample acreage overlooking the Intracoastal Waterway. The sidebar gives a closer look. Click a community’s name to view a brief description of the area as well as the area’s current MLS listings. The development agreement that created Carolina Forest was crafted in 1997. While the Myrtle Beach bedroom community has grown to maturity, there is still room for growth. The construction of 20,683 residential units was approved in the original plan, and after two decades it is still 3,757 short of that goal. According to U.S. Census figures, the population of Carolina Forest increased from 3,400 in 2000 to about 33,000 today. There is still room for significant residential growth and light commercial use, too. The majority of Horry County wasn’t zoned when the Carolina Forest development agreement was done. Until then, most of the county’s developments were not large enough to be able to justify a single school, let alone being able to set aside an area for three or four schools or an EMS station. The plan also set aside land for recreation and for churches. Carolina Forest is a self-contained community and a drive through the community shows all it has to offer. Entering Carolina Forest from U.S. 501, there’s a small, family-friendly shopping center that includes restaurants, businesses, and shopping areas. That’s just the tip of the iceberg. Shopping and dining areas were an integral part of the Carolina Forest plan. Residents don’t have to travel far to shop for anything or enjoy a meal with friends. No homes for sale in Carolina Forest are more than a few miles from quality shopping and dining. The Carolina Forest area is home to dozens of National chains and hundreds of local independent retailers including an art gallery, an investment broker, insurance agents, and dental and medical offices. For bargain shoppers, Tanger Factory Outlet Center, with more than 100 discount retail shops, is located about a mile from Carolina Forest. And Carolina Forest residents never go hungry as the area boasts a diverse array of eateries. The area has all the usual chains plus a variety locally-owned local favorites like Costa’s Pizza, Dragon Pan Chinese restaurant, Pane e Vino for Italian fare, Hana Teppanyaki House for Japanese cuisine, and Tavern in the Forest, which serves American food and excellent burgers. Carolina Forest has one of the top school districts in the state, which include six excellent public schools. Ocean Bay Elementary School, Ocean Bay Middle School, and Carolina Forest High School are located in the Carolina Forest community and are said to be some of the best school in South Carolina. It’s not uncommon to hear Carolina Forests residents say that they bought their home just to get their children in these schools. There are also a number of private and parochial schools nearby. Anywhere in Carolina Forest may be the ideal residential community for any family. Families with elementary, middle school or high school-aged children live in an area where their children attend the most highly regarded schools in Myrtle Beach. Many say that Carolina Forest schools are the best in the state, and parents often move here just to get their children in these schools. Numerous other accolades have been presented to the schools as well. If the best education for your child is an important part of your home-buying decision, you won’t find a better choice than Carolina Forest. Homebuyers interested in the Carolina Forest school will be equally impressed by The Horry County Carolina Forest Library. The library first opened in 2012. The 20,000 square foot facility features children’s and young adult areas, 24 computer stations, a public meeting room, a conference room and a large play area — known as the Palmetto Adventure Land playground — out back. At the Carolina Forest branch library, folks can borrow books, buy books, get some serious help writing books, and connect with the community through indoor and outdoor activities. Ongoing and occasional happenings in Carolina Forest often center around the library at 2250 Carolina Forest Blvd. Upcoming events include the library’s bimonthly bag of books sale, next scheduled for July, and for those folks interested in writing books as well as reading them, the Fiction Writer’s Club meeting. Excellent police and fire rescue services for Carolina Forest are provided by Horry County. Horry County Fire Rescue Station 39 is located in Carolina Forest on Carolina Forest Boulevard. Two stations, Numbers 4 and 45, are located adjacent to Carolina Forest on the north and south sides of the community. Discussions are currently underway to add a police substation to the Fire and Rescue facility on Carolina Forest Boulevard. Moving to a new area can be incredibly stressful. Don’t add to what is already an anxious time by failing to research your family’s health care options. The Carolina Forest community is home to a number of dental and medical offices including an urgent care facility. 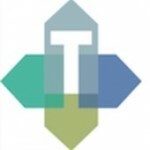 All of the usual medical and dental specialties are represented. Nearby Conway and Myrtle Beach are home to a variety of large and small hospitals and clinics. There is sure to be a facility that meets every need. Whether award-winning and life-saving cardiac surgery, hip replacement, rehabilitation services, or general surgery, Myrtle Beach and the Grand Strand are keeping their families healthy. Three outstanding hospital systems serve the Grand Strand: Grand Strand Regional Medical Center, Georgetown Hospital System, and Loris Healthcare System (now affiliated with McLeod Health in Florence, S.C.). Each has multiple satellite facilities for urgent care and specialty services. There are also a number of nursing homes/assisted living facilities in the area that provide rehabilitation care as well. The Carolina Forest Recreation Center offers a full-size gymnasium for open gym and sports leagues, a fitness room for exercise classes, a multipurpose room with a divider for multiple events. The facility also offers lockers, a kitchen, and a rock climbing wall. There’s also the Palmetto Adventure Land Playground located behind the Carolina Forest Library. The Carolina Forest Rec. Center offers nearly countless opportunities for fitness classes, arts and crafts, youth sports, and parent’s night out. Some call Myrtle Beach the supermarket of golf, simply because there’s something for everybody. The Carolina Forest golf courses offer some handsome, playable and fun courses including three courses you can play and still get change back for your money, even in high season. Many of the homes in Carolina Forest were designed around 3 golf courses; The Man O’War, Wizard, and Witch, designed by Dan Maples, a world famous golf architect. And if you want more golf, there are more than 100 premier designer golf courses in the Myrtle Beach area along the Grand Strand. Many of the beautiful and challenging courses were built among the mossy oaks that line the paddies of former rice plantations. Residents of Carolina Forest are only a short drive from many resorts designed by such honored architects as Jack Nicklaus, Arnold Palmer, and Greg Norman. If there aren’t already enough good reasons to live in Carolina Forest, Myrtle Beach, and along the Grand Strand, consider the weather. Take a poll of Carolina Forest residents about what they like most about living in the area, they’ll likely put the weather at the top of their list. The community has many northeastern transplants. Almost to a person, they’ll tell you that they miss the first snowfall of the season. They miss seeing street lights illuminating the beautiful snow falling and creating the white blanket across the front lawn. They miss seeing it from the comfort of their living room… for about ten minutes. They don’t miss shoveling it, driving in it, dressing for it, or paying the winter gas bill. They don’t miss seeing the grey slush sitting along the side of most every road for most of the winter. While seeing snow in Carolina Forest is rare, any accumulation is rarer still. Most area golfers play golf year around. Fishermen fish year around. And walkers walk the beach and pick up shells twelve months per year. Carolina Forest weather is near perfect.